It’s no surprise that a Pakistani-style biryani tops the list. We tried many different Pakistani restaurants but none even come close to this one. Living in Dubai, and being a biryani lover, you must have tried ones that have a similar taste… Daily’s biryani is so unique that even its branches vary in deliciousness! 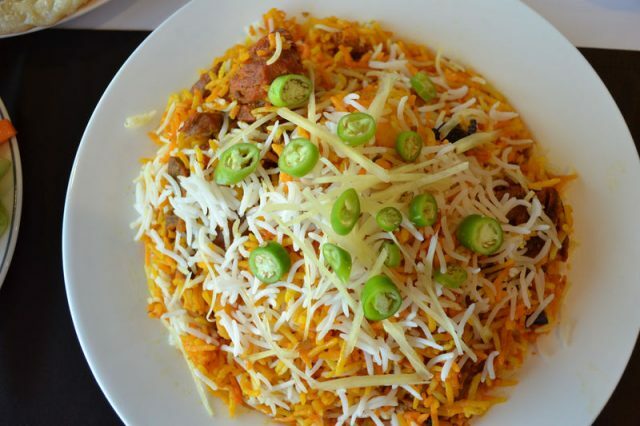 If you love your biryani, you have to make the drive to the Qusais branch and try this. Seriously, it’s Bucket-List stuff! insydo Tip: Try to get there early. It is so good that they usually run out by around 9:30 pm! Honorable mentions: we couldn’t include them all, but a shout-out has to go to Student Biryani, Jaffer Bhai’s, Pak Liyari, Liyari, Ravi, Dhaba, Salkara Restaurant, Biryani Pot & Biryani Hut; you didn’t quite make our top 6 on this occasion!